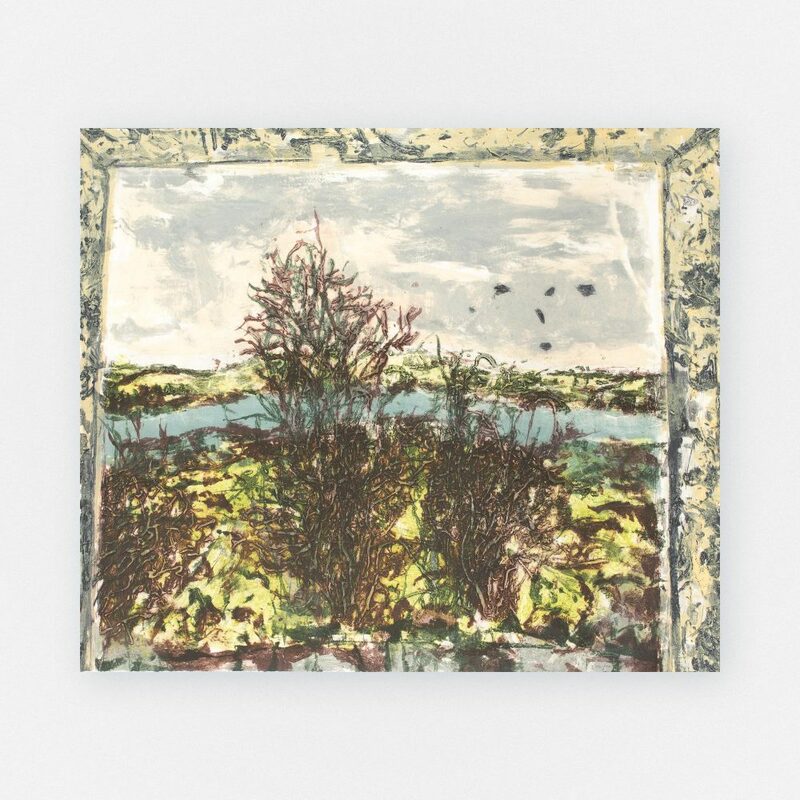 Miller created stunning landscapes of the Sligo and North West countryside from the back of his art van from the mid-2000’s. 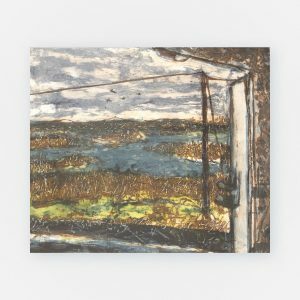 This work is pat of that series, and contains a little glimpse of the truck edge framing the landscape. This unique vista allowed the artist frame the scene, but pragmatically also, work ‘en plein air’ in the rainy Irish weather.